Being a developer is amazing. Writing code, solving problems and thinking of ingenious solutions for complicated algorithms is what we live for. But, the grass is not always so green on this side of the fence. Sooner or later you need to get your hands dirty and deploy the app you worked so hard on. Deployments are not always easy. To be blunt, they can be incredibly hard and time-consuming. That's what we'll solve in this tutorial. How to gain insight into your system? Today you'll learn how to deploy a Node.js application to AWS Lambda with the help of the Serverless Framework. The walkthrough will also cover a real-life scenario of deploying a production version of your application, with environment variables, proper monitoring, and, of course, easy debugging. Oh, how I love seeing nice stack traces! This tutorial will need you to have a few simple things set up already. Don't worry, nothing special, just the basics, and I'll link it all below for you to see, and make sure you have, before moving on. AWS account - AWS has 12 months of free tiers, and plenty of lifetime free tiers, so don't worry about breaking the bank. Node.js and npm installed - Here's a quick reference for making sure you have them installed. Serverless Framework installed - Check this out for a nice reference, and follow along steps 1-3. Dashbird account - This will give us the required overview to see what's happening to our app. The technical definition for AWS Lambda would be a Function as a Service. You deploy some code, it gets invoked, processes some input, and returns a value. Simple! Hold up a sec. We need to mention a crucial fact. All lambda functions are stateless, meaning they cannot store persistent data. And, if I just said Function as a Service, how do we deploy a whole Node.js application to AWS Lambda? How do we deploy it? Anyhow, this awesome framework enables us to both develop our apps locally, just like we're used to, but also deploy it with one simple command. Hmm... tell me more. Note: Prefix the command with sudo if you're running this command on Linux. Make sure to add your IAM User's public and secret key instead of the placeholders I specified above. If you skipped this part above, here's the official guide in the AWS docs. Let's create a new folder and give it a rather noteworthy name. Jump over to your terminal and run the commands below. Awesome, now what's left is to run the create command to generate some starter code for us. This is called a serverless service. Only one more step before opening a code editor. Like you can see in the code snippet above, we need to install a few modules first. Lucky for us there are only two and it's as simple as running one command. That's it! Let's open it up in a code editor and do some real coding. Once you open up the code editor, you'll see three files. 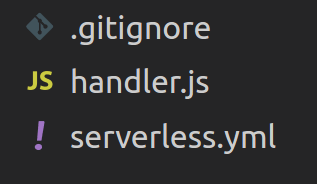 Ignoring the .gitignore file, let me explain what the handler.js is first, then I'll move on to the serverless.yml. The handler will hold all your app logic, all the code. While the servereless.yml is the configuration file for the resources you'll be creating on AWS. Go ahead and rename the handler.js to app.js, just to make it simpler for us to figure out what goes where. Delete all the starter code and paste this code snippet into the app.js file. Seven lines of code 😎. Looks familiar right? Just like you're used to. That's it. Believe it or not, there's nothing more to it. Let's move on to the serverless.yml. Once again, delete all the boilerplate code and paste this in. Done! All that's left is to deploy it. Switch back to the terminal window. By running one simple command your app will be deployed. The Serverless Framework will now wrap everything up into a nice bundle, create a CloudFormation file from the serverless.yml and shoot it off to AWS S3. Once the resources are created and the code is deployed, you'll see an endpoint get sent back to you in the terminal. Opening up the provided URL in a browser you'll see Hello World! get sent back to you. This is great and all, but not really ready for a production environment... yet. Worry not! You'll be surprised how simple it is to make it production ready. For now, let's just add the NODE_ENV in the secrets.json. 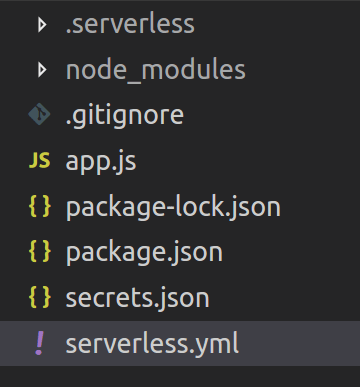 As simple as it was to add the secrets file, it's even easier to just reference the file in the serverless.yml. Amazing, that's it! Delete the node_modules and .serverless folders from the service and run npm install once again, but this time with the --production flag. Great! All that's left is to re-deploy the service and you're set. I guess we're done? Not really. Having an app running in production just because you installed npm modules with --production doesn't really cut it. To be able to sleep well at night, I need a bit more. Here's where proper system insight and monitoring tools come to play. Let me show you. The #1 problem with all serverless applications are their distributed nature. Plain and simple, it's impossibly hard to have an overview of all the things going on. Not to mention how hard it is to debug when something goes wrong. To calm my fears I use Dashbird. It's a simple monitoring tool that doesn't require me to change any code and has absolutely no overhead. So, no performance-hits either. Nice! Once you're done, all the requests will start piling in one by one and you should see something like this. Lambda is awesome! When combined with HTTP event triggers such as API Gateway, development tools like the Serverless Framework and observability tools such as Dashbird, things just become so easy. This simple API example we coded above is just a proof of concept. But you can see the point. It gives you a starting point from where you can create awesome production apps! Nice article. Also, remember that AWS Lambda fires twice actually. Its really irritating as I made a bot that sends notification in Telegram Channel & instead of sending 1 message it sends 2 every time. Checkout stackoverflow.com/questions/505517... for more details. Also, I see you're using Node8.10, with an async handler but still have a callback parameter. Refactor it so it looks like in this tutorial, and let me know if it works. Article was very nice, Helped me to start AWS Lambda. Actually iam new to Aws Lambda. I have Node.js REST API project(which running on EC2 now) with 100+ api's and 50+ routes and model files. 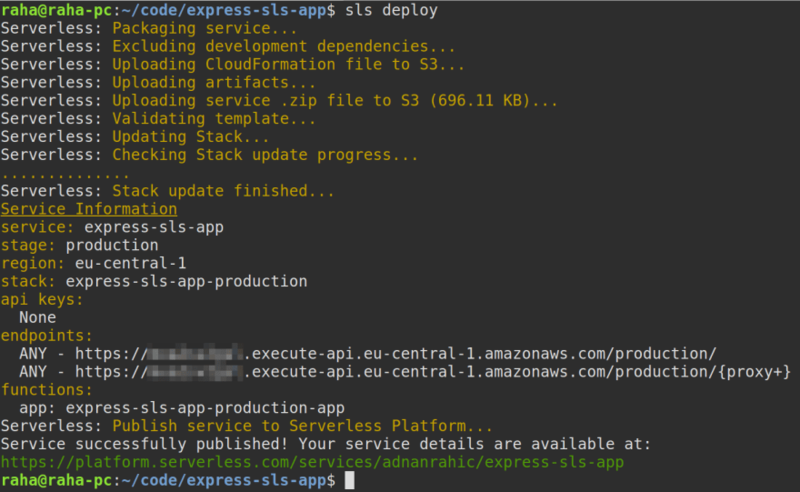 How can i deploy my project into AWS Lambda?. There's a bit of a CORS issue with my setup on the express side, regardless of what you set in the API gateway. Great article. 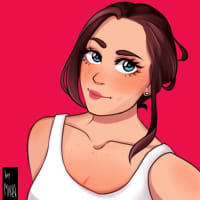 Thank you very much for posting it! I'm definitely going to try this thing out.